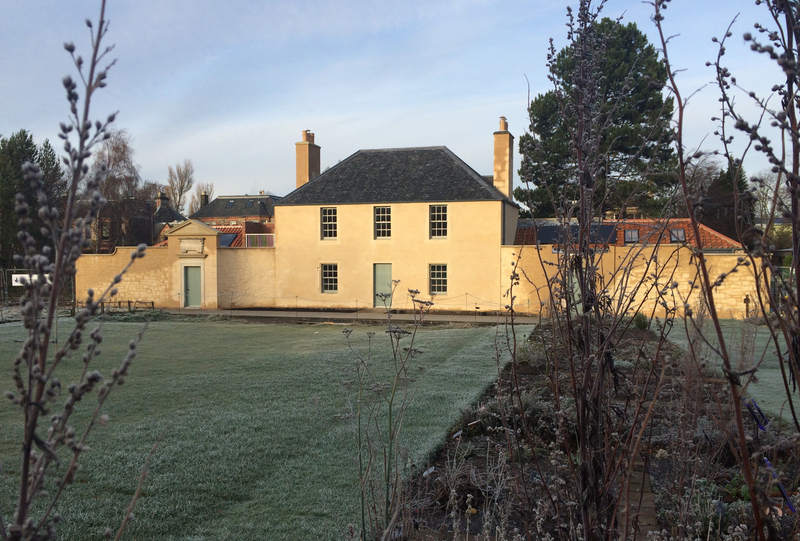 We recently reached another milestone with the rebuilding of the Botanic Cottage, when it was officially handed over from the contractors to us here at the Royal Botanic Garden Edinburgh. 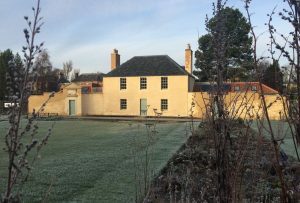 This has been a remarkable project, and at times the team rebuilding the cottage were working on exactly the same jobs 250 years to the day after they were first done, when the Botanic Cottage was built on Leith Walk in 1764-5. It is wonderful to now be able to stand inside this historic building, simultaneously the oldest and newest building in the Botanics. Over the next few months we’ll be holding some tester events, tours and workshops in the cottage, whilst undertaking the usual snagging and finishing work which new (and in our case, new AND old!) buildings have after handover. We’ve already begun landscaping, with two large beds at the front of the cottage ready for medicinal plants, new paths being laid around the building, and levelling work on ground in the area around the cottage in progress. We’ll be keeping you posted about some exciting plans for later this Spring…! Hi, The Botanic Cottage is an exciting and inspiring project. As a joiner and cabinetmaker I am so glad to see traditional crafts and materials being used. My wife however has asked me to try and identify the precise colour of green paint used on the front door of the cottage. Can you help?